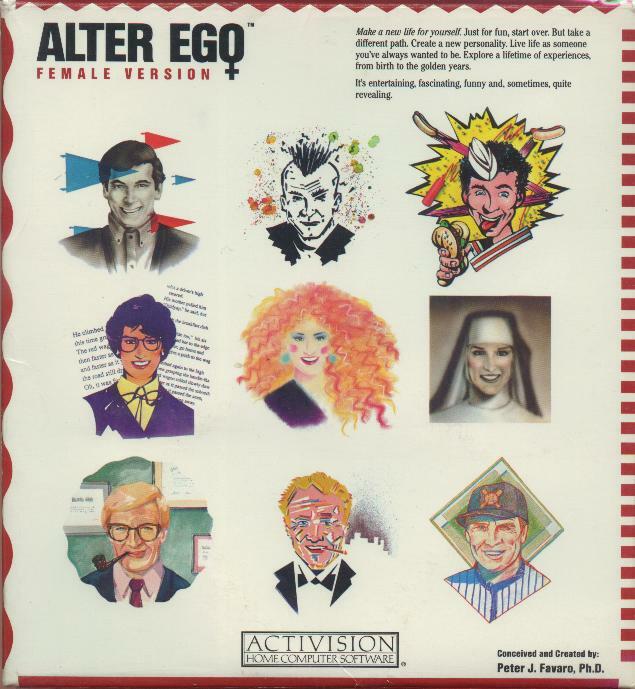 Alter Ego is a very unique game – it is a “life simulation role-playing game” which lets you have as many different life experiences – from before-birth to death – as you like. It is a psychological game, and the center of the game is your own psyche. Alter Ego is not really a “game” in the classic sense. It is more like an episodic, interactive “storybook of life”, allowing you to experience hundreds of life situations, make decisions, and see what consequences they have. It is also one of the few games where your game character’s goal is to die of old age. Saying this, you see the contradiction of perceiving Alter Ego as a “game”. Of course, dying is not the goal. As in real life, in the “game” of Alter Ego, the journey itself is the goal. The game has been envisioned and created by Peter J. Favaro, a psychologist. The game was published in 1986. From the game manual, and from an interview Peter gave in 2007, it is deductable how much fun he must’ve had in creating the game. The “life experiences” are from his experience as psychologist on the one hand, based on hundreds of interviews with real people. On the other hand, many episodes came just from Peter’s mind, as he said in his 2007 interview. Peter’s sense of humour is absolutely fabulous – there are so many funny situations hidden in the game, that the game will almost always lift up your spirits when you play it. 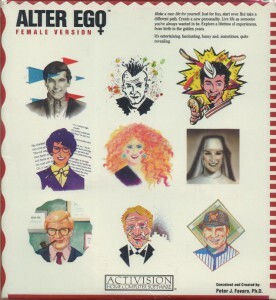 Another noteworthy aspect is that two versions of the game have been published – a male version (the original release) and a female version (released some time after). Many life episodes are the same in both versions, but there are many gender-specific episodes as well. Of course, no man is prevented from playing the female version, or the other way around. Alter Ego is made up of seven chapters – phases of life. 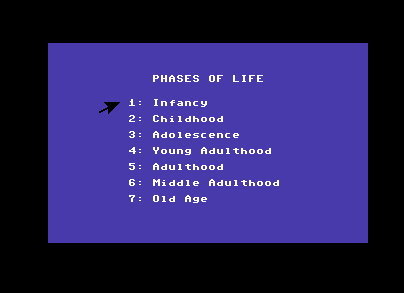 The game can be started in any life phase (for example, directly in “Adulthood”), and then progresses through life, until death. Death hides in many places throughout the game – violent crimes, accidents and disease can hit you, especially if you have a tendency to behave recklessly. Each life experience is a small story, usually followed by a set of actions/choices you can take in the situation, like in the following example. Each choice you make does have consequences, reflected in your so-called “Life Sphere”. Depending on how you behave in the various situations (and depending on which life experiences you choose in the first place! ), your “life statistics” evolve very differently. Within the game’s universe, this actually does make a difference throughout your alter ego’s life. 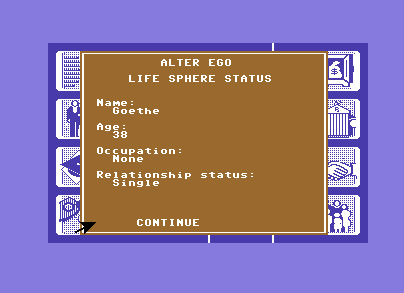 Depending on your alter ego’s statistics, you may or may not be eligible for certain jobs in the future; you may or may not have chances with certain educational institutions; you may or may not have chances to build a steady relationship or even marry… Just like in real life. I usually dig out Alter Ego once in a year on a rainy weekend (like this one) or in periods with tough life decisions looming, requiring me to think more about life than on the usual Saturday-evening movie night. Playing Alter Ego is a nice way to remind myself that life’s about making decisions, not about pondering them for too long. 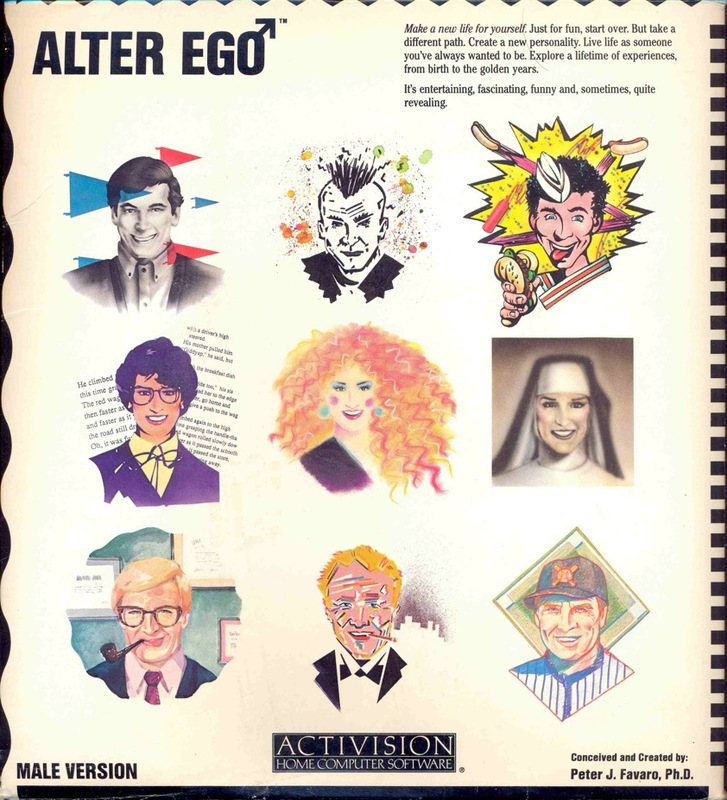 Alter Ego is also some kind of real-life escapism. Instead of escaping into fantasy novels, with Alter Ego you can simply enjoy the fun of experiences and decision-making in different life episodes. The game also has great replay value – it is fun to try some episodes again and make different decisions next time around. Also, let me again mention Peter J. Favaro’s excellent humour. Although decision-making can be tough – at least you can laugh while making them! Summarised, I can whole-heartedly recommend this “game” to any gamer who is not running away from the sound of the word “psychology”. 2H+ X – The game state can be saved at any point, so it is easy to play it in small portions. -25H X – Each life phase takes about 2 hours to play, so you can usually complete your alter ego's life in about 12 hours ('to complete' means 'to die'). That is quite astounding, considering that a normal life usually takes around 80 years to complete. Story O – On the one hand, Alter Ego tells the story of a lifetime… But on a closer look, it is not a consistent story, but only unrelated episodes. 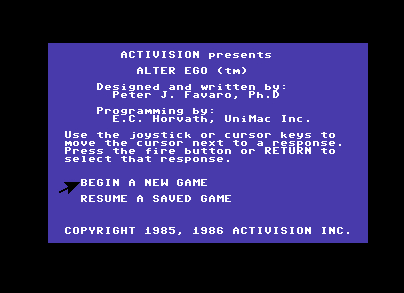 FOAK X – Alter Ego was the first game to put your own psyche in the center of a game. Metacritic X – MobyRank scores of 100 (CVG Computer and Videogames), 98 (Zzap! 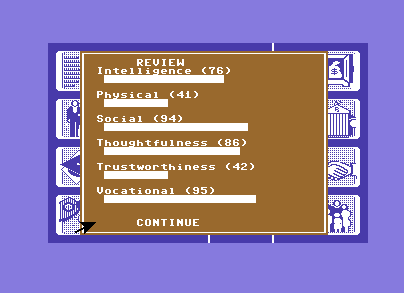 ), 90 (Happy Computer) from three respected game magazines of the time are recorded. Longevity X – In 2014, the Alter Ego brand is still alive, as a web-based game, and apps for Android and iPhone. Check out at www.playalterego.com." 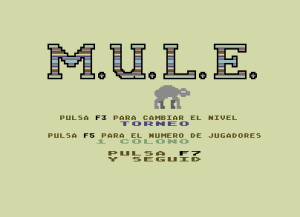 Hidden to the internet res publica for 31 years, in 2014 the Spanish version of M.U.L.E. for the Commodore 64 was rediscovered and preserved for posterity, thanks to the good folks of Commodore Plus. 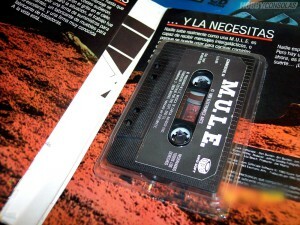 Wait – there is a Spanish version of M.U.L.E.?! That’s how I reacted when I first saw Commodore Plus’s message informing me of the fact. 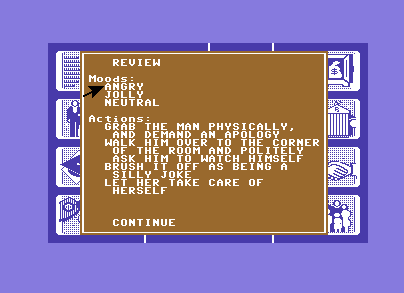 After some clarification from Commodore Plus (at first I thought it was a rogue fan translation!) and digging a bit further on the internet, it actually turns out to be a professionally published Spanish-language version of M.U.L.E., published by DroSoft in Spain. This is an exception to the publishing of the game in the rest of Europe, where Ariolasoft was the publisher of the game (and for example did not translate the game into other European languages such as German or Italian). It appears that DroSoft was a subsidiary of the Spanish electronic music band Aviador Dro. 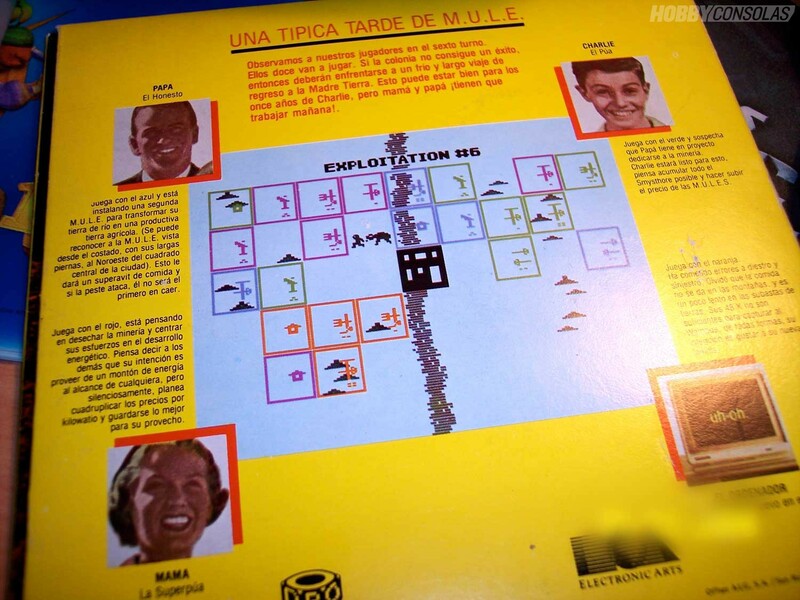 I could not find any “hard evidence” though that it was a licensed version of the game – although the professionalism of the Spanish translation and Spanish box&cover art clearly suggest that. 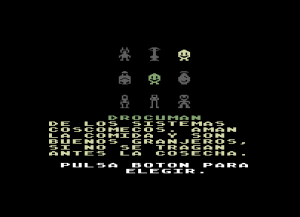 Thanks to the good folks of HobbyConsolas, who must’ve gotten their hands on an original game at some point, there are even photos available from the Spanish box&cover art, which I copy here for posterity’s sake as well. As you can see, it resembles the original U.S. box&cover art – again, unlike the “standard” European Ariolasoft version, which had a rather dull box&cover art. The gameplay itself is apparently unaltered compared to the original U.S. version. As you can see from the following screenshots, the Spanish translation is complete and covers all aspects of the game. Finally, here is the download for the game. You need a Commodore 64 emulator to play it. The Zip Archive contains a so-called “.tap” file, which is a binary representation of the original C64 cassette. Again, thank you very much to Commodore Plus for preserving this for posterity! Ozark Softscape created a landmark multiplayer game which established computer gaming as a social event way ahead of its time. Turn-based strategy elements are mixed smartly with action elements, embedded in an intricate economics simulation. Up to four human players, huddled around one C64, compete and collude in the colonisation of the distant planet Irata. A plethora of well-balanced random events badger the colonists during their twelve-month journey and make each tournament unique. It takes a whole life to learn all strategies so you can emerge as First Founder from each furious colonisation battle against your friends. This constitutes the everlasting magic of M.U.L.E. The legacy of the game lives on in an active fan community (whose meeting hub is the World of M.U.L.E.) who regularly meet up for face-to-face or emulator-supported online C64 M.U.L.E. tournaments. Planet M.U.L.E. 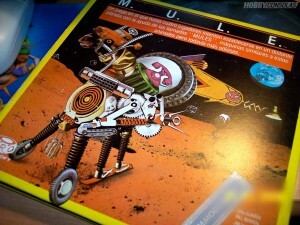 (2009) and M.U.L.E. Returns (2013) are reincarnations of the classic game for PC and mobile platforms which carry on the game’s legacy for modern audiences. Enjoy! Irata – Here I Come! Presentation O – Well, you've seen the screens above. M.U.L.E. really is no beauty, however the comic-like graphics do have their own charme. And of course the title theme is very catchy – thanks for this, Roy Glover! Story O – Not really a story to tell (or told) here – just enough to write a small short story (see above! ), but unfortunately not enough material to write a novel. Immersion X – During a four human player M.U.L.E. tournament, nothing else matters than becoming First Founder. It's like a World Cup Final. Social X – Definitely one of the best social gaming experiences you can have with four humans huddled around one old computer. Only a few games can compare with the fun and bickering during a M.U.L.E. tournament; maybe only the fabulous ten-human-players Sega Saturn Bomberman is on par with this. FOAK O – Nothing first of a kind to be found here – just many already-known gameplay elements very intelligently combined. Metacritic O – Released in 1983, there was not really game journalism – and the very few reviews of the game from that time give it more an okay-ish reception, with the exception of the CGW (Computer Gaming World) review who recognised it as an instant classic. More broadly, the magic of M.U.L.E. was discovered much later. Longevity X – M.U.L.E. has spawned some okay-ish clones (such as Traders and Subtrade in the 1990'ies) and real sequels (such as Planet M.U.L.E. and M.U.L.E. Returns in the 2000's/2010's). Furthermore, there is an active fanbase over at World of M.U.L.E. with around a 1000 fans, some of whom regularily meet up for real-life or online tournaments.